Tokyo is served by two airports: Narita International Airport (NRT) and Haneda Airport (HND). Both airports serve international flights. Haneda is closer and more convenient to Tokyo but has fewer international connections. The best way between Narita and Tokyo is the JR Narita Express or N'Ex (Y3,020, 65 minutes). You can use a Japan Rail Pass to travel on the JR Narita Express. A Japan Rail Pass is definitely worth getting if you're visiting more than one city in Japan - see my comprehensive Japan Rail Pass guide to understand how it will save you money. Another option is the Keisei Skyliner which you can book online with GoVoyagin. See below for details and more options. The best way between Haneda and Tokyo is the Tokyo Monorail Line (Y490, 13 minutes on fastest trains) or a taxi (about Y6,000, 30 to 45 minutes). See below for more details and options. You can check Tokyo flight prices and times at Skyscanner. Haneda Airport (HND) is about 14 kilometers or 8 miles south of central Tokyo, meaning that it's more convenient to the city than Narita (cheaper, easier and faster). An increasing number of carriers offer international flights to/from Haneda. Most domestic flights between Tokyo and other parts of Japan use Haneda Airport. 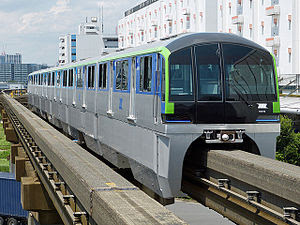 If you go by public transport, I recommend the Tokyo Monorail, which links Haneda to the JR Yamanote Line at Hamamatsucho Station. Or, if you want to get right on the shinkansen line or want to continue to stops on the west side of the JR Yamanote Line, you can take the Keikyu Line, which links Haneda to Shinagawa Station on the JR Yamanote Line. Note that neither the Tokyo Monorail nor the Keikyu Line can be used with a Japan Rail Pass. See below for details. A taxi is also a good option, particularly outside of rush hour or on weekends. See below for details. The Tokyo Monorail runs directly between Haneda and Hamamatsucho, which is on the JR Yamanote Line, only three stops from Tokyo Station. It costs Y490 and takes around 13 minutes on an express. At Haneda, the terminal is located right outside the international arrivals hall (clearly marked in English). In Hamamatsucho, it's a bit tricky to find: It's inside the World Trade Center building, which is on the north side of JR Hamamatsu-cho Station. You must exit the JR station and walk into the World Trade Center building and climb to the 3rd floor to buy tickets. The platforms are on the 5th floor. 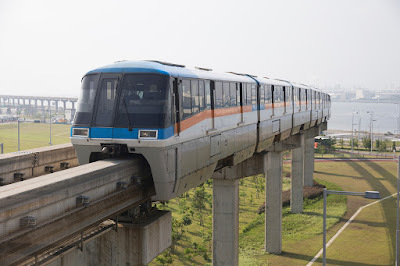 For more details, visit the Tokyo Monorail English site. The Keikyu Line runs between Haneda and Shinagawa, which is on the JR Yamanote Line and the JR Tokaido Shinkansen Line. It costs Y407 and takes about 11 minutes on the fastest trains (other trains cost the same but take longer and stop at more places in between). At Haneda, the Keikyu ticket office is right outside the international arrivals hall. You then take an elevator or escalators down to the underground platforms. At Shinagawa, the Keikyu station is next to the JR station, but you must completely exit the Keikyu station and then enter the JR station (ie, you cannot directly transfer from one line to the other with normal tickets). Airport limousine buses run between Haneda and various points in Tokyo. The trip costs Y930 and takes between 30 and 60 minutes, depending upon the pick-up/drop-off point in Tokyo. At Haneda, the boarding point is at the bus stops on ground floor, one level below the international arrivals level. For more details, visit the Haneda Airport Limousine Bus English site. Haneda is close enough to Tokyo to make a taxi a perfectly good option, especially outside of rush hour or on weekends. A taxi between Haneda and Tokyo will cost around Y6,000 and take between 30 and 45 minutes, depending upon destination and traffic conditions. Taxis wait on ground level, one level below the international arrivals hall. Narita International Airport (NRT) is about 60 kilometers or 37 miles northeast of Tokyo, meaning that it's less convenient to Tokyo than Haneda. However, this is the city's main international airport and most international flights to Tokyo use Narita. Because it's so far from the city, it's very expensive to take a taxi to the city. Instead, I recommend taking a train to the city. The best option is the JR N'Ex (Narita Express), which can be used with a Japan Rail Pass. This will take you right into Tokyo Station or a variety of other stations in the city like Shinagawa and Shinjuku. Another option is the Keisei Skyliner, which takes you to Ueno Station in Tokyo, only four stops from Tokyo Station on the JR Yamanote Line. This private lane cannot be used with a Japan Rail Pass. There are also limousine buses between Narita and various pick-up/drop-off points in Tokyo. The N'Ex runs between Narita and Tokyo Station. Some trains also start/stop at other stations on the JR Yamanote Line, including Shinagawa and Shinjuku. The trip between Narita and Tokyo Station costs Y3,020 and takes 65 minutes. At Narita, the terminals are clearly marked from the arrivals halls. At Tokyo Station, the tracks are on basement level 6, quite a walk from the other JR platforms and shinkansen platforms - leave plenty of time for transfers! Note that all seats on the N'Ex are reserved – you can activate a Japan Rail Pass and/or make reservations at the JR counters at Narita. For more details click visit the Narita Express English site. A good option if the N'Ex is full or if you are staying near Ueno is the Keisei Skyliner. It runs between Narita and Ueno, which is on the JR Yamanote Line, four stops north of Tokyo Station. The trip between Narita and Ueno costs Y2,470 and takes about 41 minutes. Note that the Keisei line also operates some slightly slower trains that cost less but take longer to do the trip. You cannot use the Keisei Skyliner with a Japan Rail Pass. At Narita, follow the signs for trains from the arrivals hall. The Keisei ticket windows are very near the JR ticket windows. In Ueno, the Keisei station is a very short walk southwest of JR Ueno Station. For more details click the Keisei English site.. You can book Keisei Skyliner tickets online with GoVoyagin. Airport limousine buses run between Narita and various points in Tokyo. The trip costs Y3100 and takes between 85 and 110 minutes, depending upon the pick-up/drop-off point in Tokyo. At Narita, the boarding points are on street level outside the arrivals halls. For more details, click the Narita Airport Limousine Bus English site. Because Narita is so far from Tokyo, a taxi into the city is an expensive option. A regular taxi will cost about Y21,000 and take around 65 and 85 minutes, depending upon destination and traffic. There are taxi ranks outside all the arrivals halls. A good option for those who want a private car into Tokyo is a fixed fare taxi offered by MK Taxi. They offer fixed fare cars into central Tokyo for around Y21,000. The driver will meet you in the arrivals hall with a sign bearing your name. You can reserve via the website or over the phone (see the site for details). If you have to travel between Narita and Haneda airports, the best way is to take a limousine bus. This costs Y3,100 and takes between 65 and 85 minutes, depending on traffic conditions. Visit the Haneda/Narita Airport Limousine Bus English site for details.